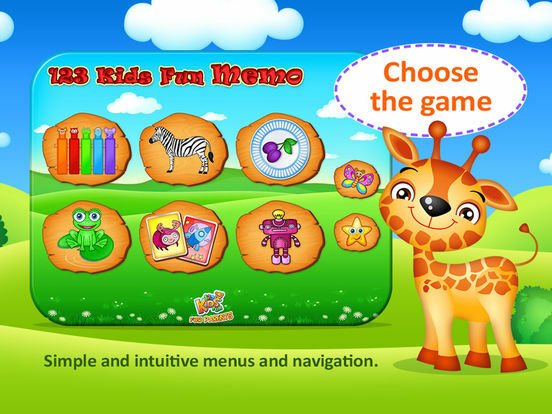 123 Kids Fun MEMO - Free Educational Games for Preschool Kids and Toddlers is a comprehensive preschool activity of memory matching games. 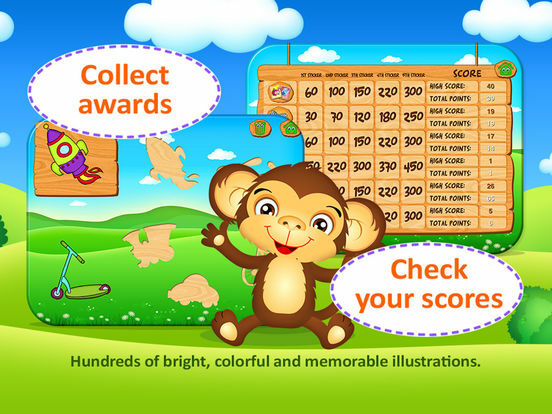 Your children will improve their concentration, memory and motor skills while playing this rich and fun games! - tap keys in the indicated sequence and learn the songs. - memorize arrangement of dishes on plates and repeat. - follow the frogs in proper sequence. - guess which animal is missing. - uncover cards and find two identical. - repeat the pictures in proper sequence. 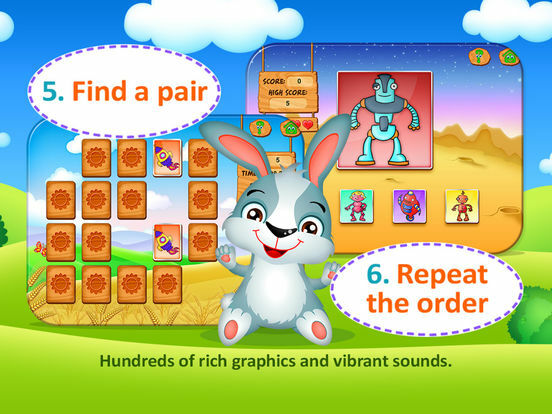 Games for toddlers and preschoolers in this category develop the ability of logical thinking, exercise perceptiveness and perfectly exercise memory and the ability to concentrate. Dozens of sounds and voice recordings of colors, letter, animal sounds, fruit names. Hundreds of rich graphics, vibrant sounds and beautiful captivating special effects.